Bale Breaker is mainly composed of a feeding hopper, a bulk rotating drum, a supporting wheel device, a protective cover and a transmission system. 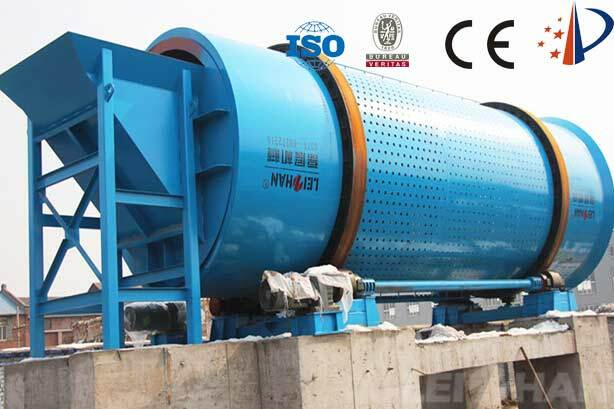 When Bale Breaker is working, the waste paper enters the bulk packing machine by the feeding conveyor, and then is quickly and effectively loosened under the action of the bulk rotating drum. The small impurities mixed in the waste paper are shaken when the rotating drum rotates. Fall down and drain through the mesh. The Bale Breaker fully considers the weight, volume and packing tightness of the waste paper bag, and can loosely loose all kinds of original papers of various specifications. 1. For the large-scale waste paper production processing line, Bale Breaker can solve the problem of waste paper picking that cannot be solved by manpower. 2. After Bale Breaker is put into operation, hydraulic pulper changes from the whole batch feeding method to the continuous waste feeding of loose waste paper, thereby reducing the energy consumption of the hydraulic pulper and stabilizing the pulping concentration. 3. The use of Bale Breaker reduces impurities into the pulping system from the source, effectively improving the quality of the pulp and reducing environmental pollution. 4. The use of Bale Breaker can save a lot of labor, save labor costs, reduce the use of forklifts, and save maintenance and repair costs of forklifts. Welcome to visit our factory, we can supply whole pulping line Machine, and different kinds of Paper Machine, including tissue paper machine, kraft paper machine, coating board paper machine, etc.